Express Scripts has announced a plan to cut patient co-pays for insulin products at $25 a month ahead of a pricing showdown with US politicians next week. The cap is part of a “patient assurance programme” that the pharmacy benefit manager (PBM) is launching for members of participating non-government funded pharmacy plans managed by Express Scripts, according to its parent company Cigna. Cigna is one of a group of PBMs that are scheduled to come up against the influential Senate Committee on Finance in a hearing on 9 April that will focus on drug pricing – and claims that PBMs are pocketing medicine discounts instead of passing them on to patients. Cigna vice president Steve Miller and top executives from other PBMs – including CVS Health, Humana, OptumRx and Prime Therapeutics – will be grilled by senators led by Chuck Grassley (Republican) and Ron Wyden (Democrat) in the third such hearing, which comes after the committee heard testimony from top pharma manufacturers and patient representative groups. “We’ve heard from pharmaceutical companies and it’s only fair that the committee has the opportunity to ask questions of other players in the health care supply chain,” said Grassley and Wyden in a joint statement. The day after the Senate Finance Committee hearing (10 April), the three companies that manufacture insulin in the US – Eli Lilly, Novo Nordisk and Sanofi – as well as the three largest PBMs are due to testify in front of the House Energy and Commerce oversight subcommittee, according to a report in TheHill.com. That committee heard from patient representatives yesterday. Insulin has become a focal point for the lawmakers, resulting in bipartisan investigations into prices of the medicine that have risen sharply, according to Energy and Commerce Chairman Frank Pallone (Democrat). Prices for the most commonly prescribed insulins have increased by more than 700% over the last 20 years, accounting for inflation. “We must find workable solutions to support the development of high-quality drugs and insulin innovations while also ensuring that no one living with diabetes is ever forced to put their life at risk by rationing their insulin because they cannot afford it,” he said at yesterday’s meeting. The company insists that for users of insulin plans managed by Cigna and Express Scripts, the average out-of-pocket cost for insulin was $41.50 for a 30-day supply in 2018. 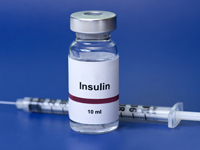 Last month, Lilly responded to criticism of high prices for insulin in the US by launching a cut-price version of its Humalog brand, which had come under particularly strong criticism after its price rose from $35 to $234 per vial between 2001 and 2015.